Dmitri Shostakovich’s long-lost Impromptu for Viola and Piano, Op. 33, recently unearthed in the Moscow State Archives, receives here its world-premiere recording on Matthew Lipman’s Ascent, the acclaimed young American violist’s solo debut album, featuring, in the artist’s words, “music enraptured by flights of fantasy.” Recipient of a 2015 Avery Fisher Career Grant, Lipman has created an album of uplifting and spiritually transcendent works for viola and piano, dedicated to his late mother. Hailed by The New York Times for his “rich tone and elegant phrasing,” Lipman is heard in the world-premiere recording of Clarice Assad’s fantasy piece, Metamorfose, which the violist commissioned. It’s a poignant commentary on grief and acceptance. Robert Schumann’s Fairy Tale Pictures is dreamlike and fanciful. York Bowen’s richly expressive Phantasy draws on the Russian Romantic tradition. Garth Knox’s free-flying Fuga libre transfigures Bach-like fugal fragments through modern, coloristic performance techniques. The album’s finale is the first-ever recording on viola of Hollywood composer Franz Waxman’s popular violin showpiece, Carmen Fantasie. England’s The Telegraph praised Lipman as “gifted with poise and a warmth of timbre” for his recording of Mozart’s Sinfonia Concertante with violinist Rachel Barton Pine, the Academy of St. Martin in the Fields, and Sir Neville Marriner (Avie), which topped the Billboard classical chart. 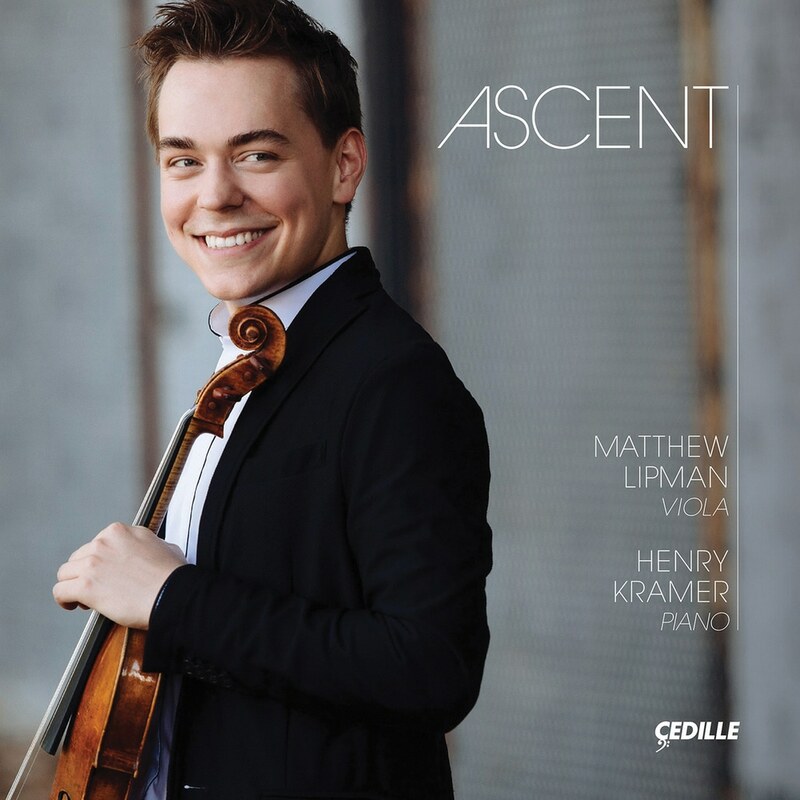 Lipman’s collaborator on Ascent is pianist Henry Kramer, winner of the Second Prize at the 2016 Queen Elisabeth competition and top prizes at the 2015 Honens International Piano Competition and 2011 Montreal International Music Competition. His first commercial recording, dedicated to Liszt oratorio transcriptions, was recently released on Naxos.